We firmly believe that there is little better in life than a fabulous holiday to the mountains, with friends and family in tow, to enjoy some spectacular skiing. For over 30 years it has been our privilege to create amazing ski experiences for our clients, featuring the world's best ski resorts and we look forward to helping create the perfect holiday for you. Whether you are looking for a large chalet for a celebration with friends, a romantic luxury hotel for a short break, or a two week bespoke trip to North America's finest resorts, we are here to help. Every week our ski experts search the market for the best ski deals out there. See them for yourself here. All of our all-inclusive Club Med properties currently have 15% off meaning a huge saving for you. More information here. Our fantastic ski all-in deals come with lift passes and ski & boot rental all included as standard. 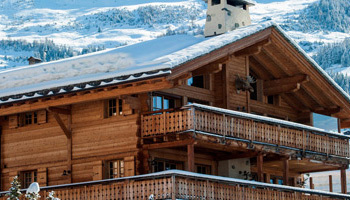 Amazing value for your chalet ski holiday. From ski school to childcare, we are here to help you organise all the little things that complete your family ski holiday. 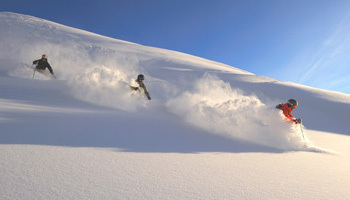 Indulge in a first class ski holiday with every last thing carefully thought out and taken care of by our ski experts. 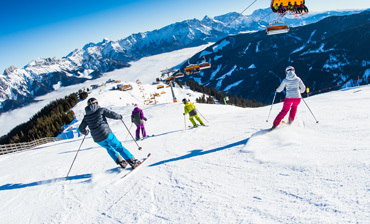 There’s nothing quite like exploring the slopes with a group of friends and family. We’re on hand to take the stress out of organising your group trip away. 2019 is looking like an exciting winter here at Ski Solutions, with the launch of some fantastic new hotels and chalets across Europe, Canada and the USA. Tailor-made ski short break that are designed around you. We are the experts in ski weekends, see what we can do for you. We have a range of fantastic deals and offers for your ski holiday this season. Explore the best deals for you and your group here. Each year, our team of experts spend in excess of 330 days on the slopes and most of them have completed multiple seasons in the mountains too, making them well equipped to point out the hidden food stops and après hot spots that make our holidays extra special. When it comes to recommending resorts and accommodation based on your preferences, our ski experts know first hand what makes a ski holiday extra special. You can expect a personal experience from start to finish as our team work hard to create the perfect trip for you. From boutique slopeside hotels perfect for a short break to Alpine chalets big enough for the whole family, our range of accommodation collections has something for everyone. "I recommend getting in touch and chatting with us about your holiday plans and requirements. We've spent a lot of time in the mountains between us and are well placed to help you with all elements of your trip." Getting away for a shorter ski holiday is the perfect way to maximise your time on the slopes whilst minimising your time away from the office. Perhaps you are topping up your time in the mountains with a second ski break or only have time to cram in a shorter holiday this year. Our tailor-made short breaks have been carefully assembled to make use of the most convenient flights, quickest transfer times and a selection of excellent hotels that range from classic ski lodge to boutique five star luxury. You’ll typically spend four full days on the slopes if you make use of our four night breaks that depart on a Thursday (after work) and return on Monday morning. Better yet, as you’ll be skiing over the weekend, when larger chalet operators have their changeover day, you’ll have the mountain to yourself. 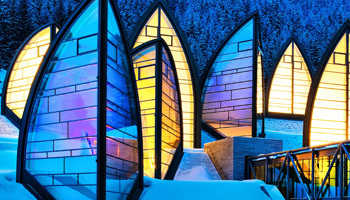 Our range of ski hotels is a diverse mix of ski retreats, from family friendly to boutique and luxurious.